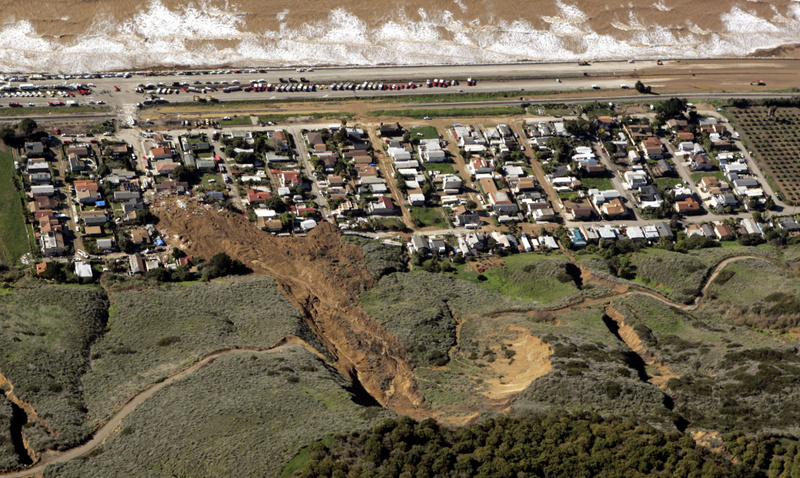 The scene of a large mudslide that on Monday, Jan. 10, 2005, resulted in the deaths of 10 people and the loss of more than a dozen homes, in the coastal community of La Conchita, Calif., is shown Tuesday, Jan. 11, 2005. The community suffered a similar mudslide, killing residents and destroying homes, in 1995. Despite the dangers of living in scenic splendor atop hills or on their slopes, many California homeowners are willing to live with the risks from natural disasters. The mudslides in Santa Barbara County this week have killed 17 people and injured 28. But these are just the latest in a long history of Southern California mudslides. The National Weather Service has a list of "significant weather events" in Southern California - and the section for floods, mud slides, debris flows, and land slides is over 60 pages long. 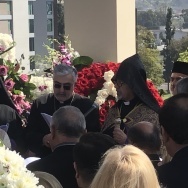 Heavy rains hit, resulting in 87 deaths from floods and mud slides, and "scores" of deaths from car accidents, according to the National Weather Service's summary of the incident. 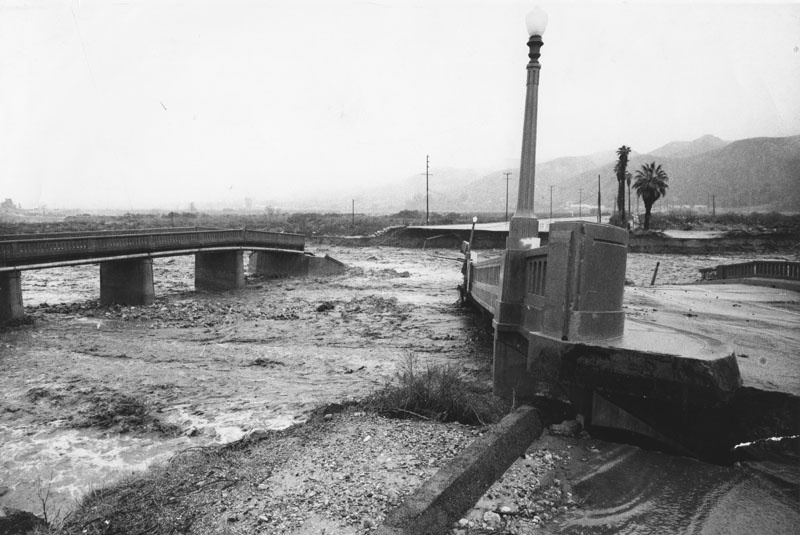 These two Los Angeles bridges collapsed from flood waters in 1969. Hundreds of homes and buildings were destroyed, and Mt. Baldy Village was particularly hard hit, with 14 homes destroyed there alone. The Los Angeles Times reported that in Silverado Canyon, a fire station filled with mud. Five bodies were recovered there, and 17 people injured. Local jurisdictions had just finished repairing roads and bridges damaged the month prior, when heavy rains descended again. 21 more people died from flooding and mud slides. One person drowned in Temecula after heavy rains caused flooding and mudslides, and hundreds of residents were trapped in Topanga Canyon. Six different storms hit Southern California in just over a week, and 30 people were killed by both floods and mudslides. "Post-fire flooding" caused a basin in Harrison Canyon to overflow four times, and hundreds of homes were either destroyed or damaged. 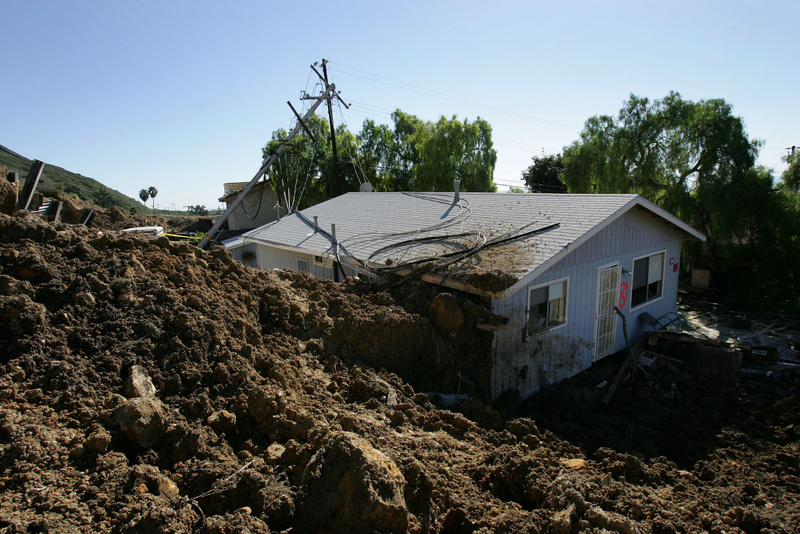 A mud slide in La Conchita "destroyed nine houses within a few seconds." "Despite geologists' early warnings to La Conchita residents that the hillside would crumble under heavy rain, scores of homeowners refused to leave," the L.A. Times reported in 1995. According to a report by the United States Geological Survey, despite the destruction, no lives were lost. In October that year, wildfires had ravaged the San Bernadino mountains. On Christmas Day, heavy rains led to mud slides, burying a church camp in Waterman Canyon. 23 people had been there for a holiday party, and 13 of them died. Two other victims died in a Devore campground. 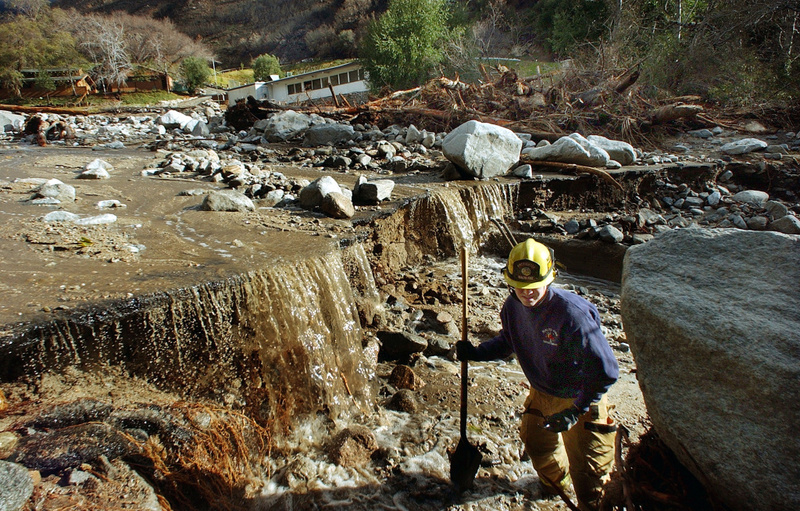 Rialto Firefighter Dave Denman searches for victims after a mudslide Dec. 26, 2003 in Waterman Canyon, California. The mudslide which killed at least four, and left 12 missing was caused by heavy rains. After days of “record or near-record” rainfall, La Conchita was hit once more. A hill gave way, killing 10 people. The Los Angeles Times reported that over 400,000 tons of mud inundated the community. Thirteen homes were destroyed, and another 23 were damaged, according to a report by the United States Geological Survey. A home damaged in the deadly mudslide that killed at least 10 people is one of those that residents will not be allowed to enter on the first day that evacuated residents are allowed to return to their devastated community January 14, 2005 in La Conchita, Calif. With at least three people still missing, rescuers suspended search efforts after the hillside above shifted, raising concern that another mudslide could occur. 15 homes were destroyed and 16 damaged when the mudslide poured over part of the small seaside town of 260 people at the end of the area's heaviest rainfall in a 15-day period since records began in 1921. Meanwhile, five straight days of heavy rains hit other parts of Southern California, causing other mountain slopes to slide and sewage to spill. A pregnant woman in Highland was killed, and a Crestline hotel was destroyed. 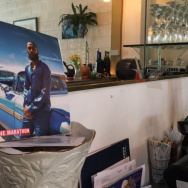 The damages were estimated at $100 million, and a state of emergency was declared.